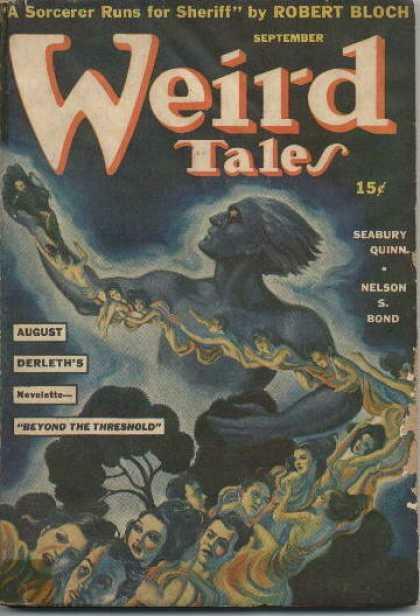 Home WEIRD TALES. SEPTEMBER 1941. Title: WEIRD TALES. SEPTEMBER 1941. Retired Librarian from family of book lovers and book collectors selling collection handed down through the generations. 100% money back guarantee within two weeks. Orders shipped within two business days. Orders usually ship within 3 business days. Shipping costs are based on books weighing 2.2 LB, or 1 KG. If your book order is heavy or oversized I may contact you to let you know extra shipping is required.